The National Green Tribunal has lashed out at the eight-member Expert Committee on the quality of its report on Special Economic Zone (SEZ) project by two private companies in Agara-Bellandur catchment area. In May, the National Green Tribunal (NGT) in its preliminary judgment on SEZ project by Mantri Tech Zone and Core Mind Software and Services Ltd, had formed an expert committee to study the project. The Committee submitted its report to the NGT on September 4th, 2015. In the report, the committee has described their work, including study, project site visit and meetings which culminated in the report. Citizen Matters had published a report on July 31st when only a week was left for the Expert Committee to submit its report. Then the Committee Convenor had said that they were yet to study the approvals of BWSSB and KIADB to the said project. The Convenor had even said that the Committee would only submit “interim report,” in contrast to the comprehensive report that the Tribunal had asked for. Interestingly, the Tribunal had formed the Committee on May 7th, but the first meeting of the Committee was held after more than a month, on June 19th. While passing the order on Thursday, the Tribunal also expressed its inability to pass final directions and dispose the matter in due to lack of information provided by the Committee. The report is not comprehensive and non-compliant in all its major aspects. The stand taken by the Lake Development Authority of Bengaluru before the Tribunal is different from the one on the basis of which the report has been submitted. The Committee has not mentioned the factors relevant for determination of environmental compensation. 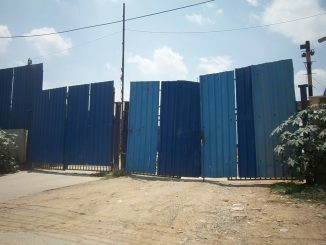 The Tribunal has questioned the basis on which the Committee has calculated 3 acre 10 guntas of land as unauthorised encroachment by Mantri Tech Zone. “As it appears from the records, the State had allotted 63 acres and 37 guntas of lands to the builders. The builders are in possession of practically 72 acres of land, including the wetlands. It will be obvious that area occupied would be nearly 12.47 guntas and not 3 acres and 9 guntas as mentioned in the report. The committee has nowhere referred as to what action is required to be taken and what measures should be adopted to reset the damage. Catchment area and inter-connectivity of the lakes has just been mentioned in the report. But, there are no comments and recommendations as to what steps are required to be taken and what is the extent of damage done by these builders to the ecology and environment, particularly the wetlands of the area in question. The report categorically does not say as to which of the conditions of the environmental clearance order have been complied with and which have not been complied with. It is completely silent on the consequences and remedial measures. The report is completely silent as to what is the effect of discharge of sewage and other effluents from the project in question, what remedial measures are required to be taken for ensuring compliance. The Tribunal is informed by the Committee members, that the builder is expected to construct in around 13.5 lakh sq mtrs of area, whereas NOC is obtained only for 18 flats. In such case, whether the water will be recycled, if yes, to what extent. This aspect has not drawn the attention of Committee members. There is no specific recommendation or observation made in relation to compliance to the conditions of the Environmental Clearance, particularly with regard to Buffer Zone and air pollution. It was expected from the Committee to inform the Tribunal about the measures required to be taken under the sanctioned plans, the various NOCs and clearances granted in relation of air and water pollution and particularly in relation to sewage. Identification of the ‘kharab land’ and whether the builder is raising any construction on that land and was such construction permissible under the conditions imposed upon the builder and in accordance with law? The Committee should have examined whether the builder violated the condition by dumping soil on Rajakaluves. Has it adversely affected the interconnectivity and what action has been taken to remove dumped material? What is the status of the show cause notice issued by the KSPCB to the builders and what steps were required to be taken? In this backdrop, the Tribunal has directed all the members of High Power Committee to be present at the project site today (September 11th) at 11 am. Concerned authorities have been instructed to produce all the records and co-operate with the Committee. Two Expert Members of the Tribunal D K Agarwal and A R Yousuf will be present at the project site and entire further proceedings would be taken in their presence all queries be answered. The matter has been posted for further directions on October 5th, 2015. Core Mind Services has not yet started the construction activity. Mantri had started a small part of construction activity which was stopped later. Construction work has resumed and is under progress after the stay order was vacated by the Supreme Court. According to a survey conducted by KIADB as per the request of the Committee, 3 acres 10 guntas land is unauthorised occupation of lake area by M/s Mantri . This 3 acre 10 guntas unauthorised occupation by Mantri should be vacated and boundary wall relocated. The Committee has observed that the project proponent Mantri Techzone has dumped the excavated soil from project site on the Rajakaluve resulting in the reduction of width of the Rajakaluve. Rajakaluve shall be restored to its original status by removing the earth material dumped into the Rajakaluve / Lake bed. Sites fall in ecologically sensitive zone as per Revised Master Plan 2015. Project proponents have not obtained clearances from the state government’s Sensitive Zone Committee which is mandatory. Project proponents have not complied the KIADB’s conditions in lease agreement to obtain clearances from BDA, BBMP. The project area of Mantri Techzone has increased from 63 acres 37.5 guntas (allotted by KIADB) to 72 acres 12.47 guntas as per details submitted to State Expert Appraisal Committee and KSPCB. Any amalgamation due to addition of land to the project site (allotted by KIADB) requires approval of the High Level Clearance Committee (HLCC) of Government of Karnataka chaired by the Chief Minister. No such clearance has been obtained. The project authorities shall not use the kharab land for any purpose and it shall be maintained as green belt. 30 m buffer zone shall be maintained from the Lake boundary. As per the KIADB lease agreement, Mantri Techzone Pvt. Ltd is required to upgrade 2 km of Ring Road to 6-lane Road and build underpass and over- bridge at the project area to reduce the traffic congestion in the region. This needs to be complied concurrently with the project execution. As per the proposal submitted to State Environment Impact Assessment Authority, the project proponents have committed to treat entire sewage generated to the required standards and reuse the same within their premises. If Environment Management Plan (EMP) and other conditions are implemented as per Environmental Clearance issued by SEIAA, the impacts of the projects on surrounding ecology and environment will be minimised. 100% treatment of sewage generated in Bengaluru at decentralised level preferably at the upstream of each take. Reuse of treated wastewater to the maximum extent possible for various industrial applications, railways, construction activities, flushing etc, so as to reduce the demand of fresh water. Removal of encroachments on Rajakaluves and Lake beds. Digitisation of lake details, spatial extent and uploading these information on the net for the public access. Implement the mandatory STP rule in all new apartments with more than 50 units and commercial establishments with built up area more than 2000 sq m.
National Green Tribunal delivered a verdict on the SEZ coming up on the catchment area of Bellandur lake, banning anymore sanctions to any projects in Bengaluru that are coming up on lake catchment areas. What else did the judgment say? In a meeting last week, the Upa Lokayukta questioned as to why the BBMP allowed the construction to continue when the project did not have the necessary approval.